In the nation’s 20 least affordable housing markets, low-income housing built during a 10-year span shows no effect on nearby home values. Corrected Nov. 29 at 2 pm ET. See below. 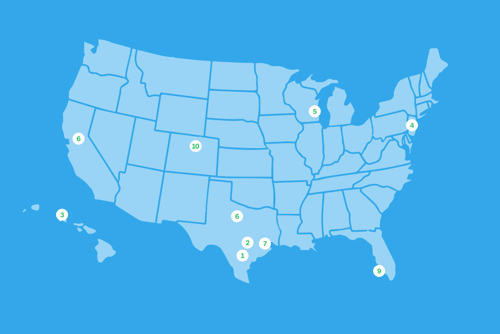 Some of the nation’s least affordable markets are also ground zero for the fight against building affordable housing – which opponents say, among other things, depreciates nearby home values. Resistance to affordable housing development has surfaced in tight housing markets across the country such as San Francisco, New York, and Seattle. 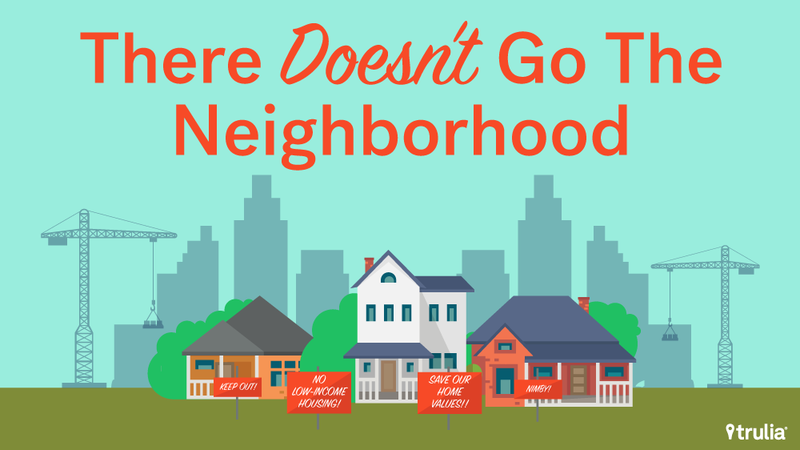 Given low inventory and high prices in these tight markets, we set out to uncover how much homeowners really have to fear. In the nation’s 20 least affordable markets, our analysis of 3,083 low-income housing projects from 1996 to 2006 found no significant effect on home values located near a low-income housing project, with a few exceptions. 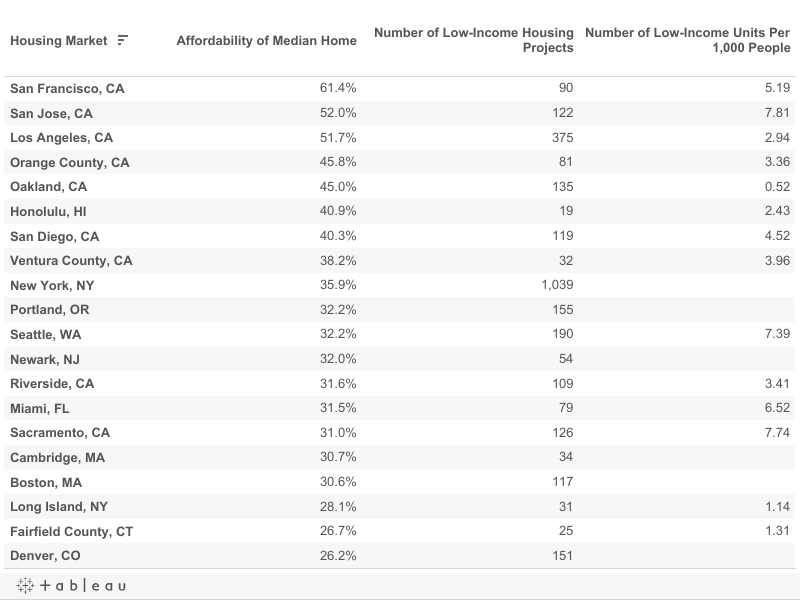 Among the cities where there was enough data to measure, San Jose, Calif., was the most aggressive in adding low-income housing units (7.81 per 1,000 people) during the decade. Meanwhile, Oakland, (0.52 per 1,000 residents) added the fewest units per capita. Of the 20 markets examined, Denver was the only metro area where homes located near low-income housing projects registered a positive effect in terms of price per square foot after a project was completed. In Boston and Cambridge, Mass., however, low-income housing projects had a negative effect on nearby homes in terms of price per square foot, suggesting a region-specific market effect for these two geographically adjacent metros. We focused on the time period prior to the start of the housing bubble in 2007 in order to ensure that prices reflect consistent comparisons around the time a project is completed and ready for occupancy. HUD uses the term “placed into service” to denote when an eligible household can move in. For purposes of this report, we consider this the time at which the project is complete and ready for occupancy. To test for spillover effects of low-income housing, we tracked home values in terms of price per square foot at two different distances from the low-income housing project from 1996 to 2006. For the neighborhood, we identified properties within an inner ring of 2,000 feet of a given low-income housing project as close enough to be impacted by the project. Properties located 2,001 to 4,000 feet from the low-income housing project were used as a comparison group. 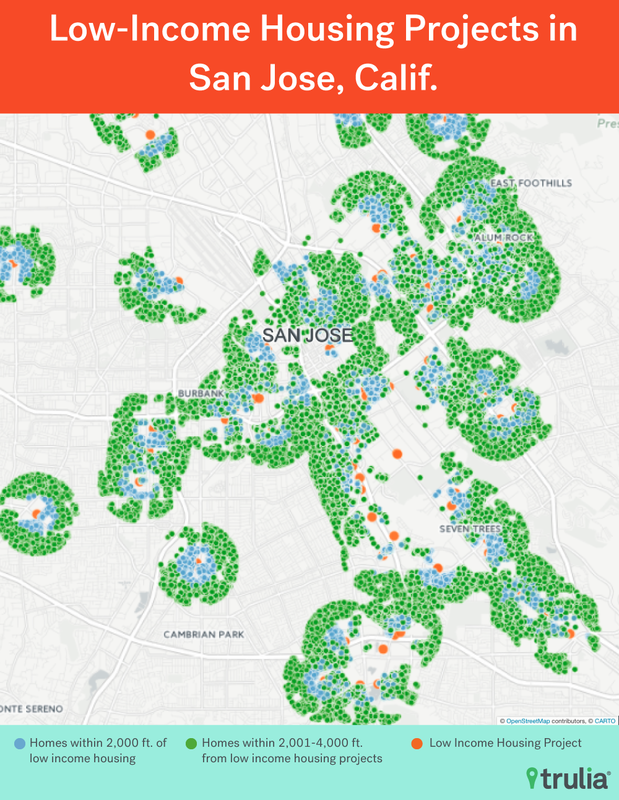 The chart below illustrates how properties are placed into inner (light blue) and outer (green) rings around a low-income housing project (orange). Using distance measures as a way to compare potential effects of housing projects on property values proximate to a project site to those in surrounding neighborhoods is common in the academic literature. See Ellen et al. (2007)’s analysis of the effect of subsidized housing projects in New York City on property values by comparing price changes of properties within a 2,000 foot distance ring to those in similar surrounding neighborhoods. Ellen, Ingrid Gould, Amy Ellen Schwartz, Ioan Voicu and Michael H. Schill. 2007. 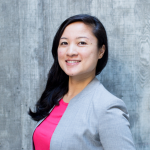 “Does Federally Subsidized Rental Housing Depress Neighborhood Property Values?” Journal of Policy Analysis and Management. Vol. 26, No. 2, pp. 257-280. If there was an effect from the placement of a low-income housing project into a neighborhood, we would expect to see a drop in prices in the inner ring (red line) compared to the outer ring (blue line) after the project is completed (year 0). In terms of median price per square foot, the inner and outer distance buffers track closely together as shown in the figure below. 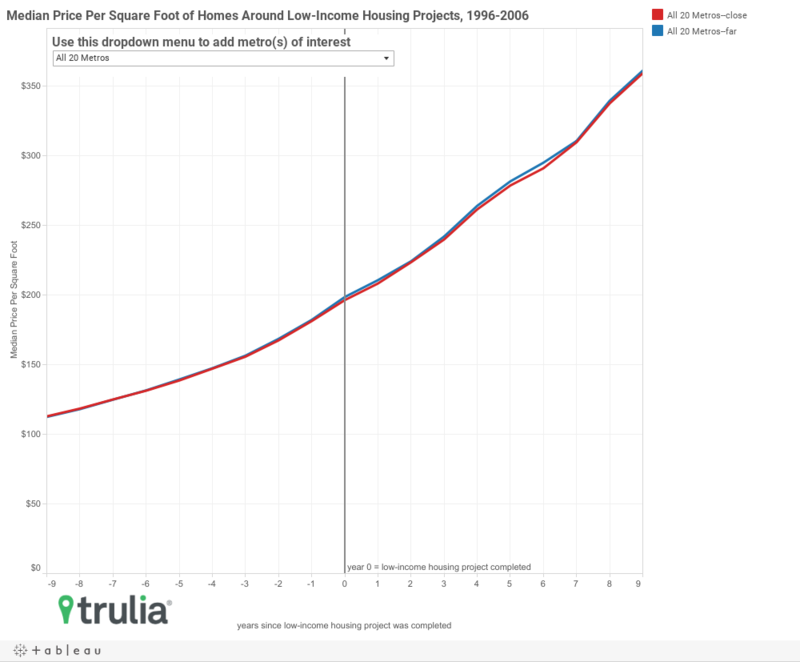 There is no statistically significant difference in price per square foot when comparing properties near a low-income housing project and those farther away when examining projects across all 20 metros. Likewise, at the metro level, the majority of markets yield no significant difference in prices between the inner and outer ring after a project is completed. However, a few housing markets revealed significant differences in price per square foot near low-income housing projects after they were placed into service. Why did values diverge in some places? Homes near low-income housing projects in both Boston and Cambridge saw a negative impact on per square foot property prices. Post-project prices near low-income housing projects saw an estimated $18 and $19 drop in prices per square foot relative to the outer ring. Given that these estimated effect in these two markets are geographically adjacent to one another, this effect might be attributed to a region-specific market effects that reflect where low-income housing projects were placed. Concentrating subsidized housing projects in particular areas such as Roxbury and Dorchester in Boston, or Cambridgeport in Cambridge in a short time period, for example, might have the effect of crowding out other development activity. 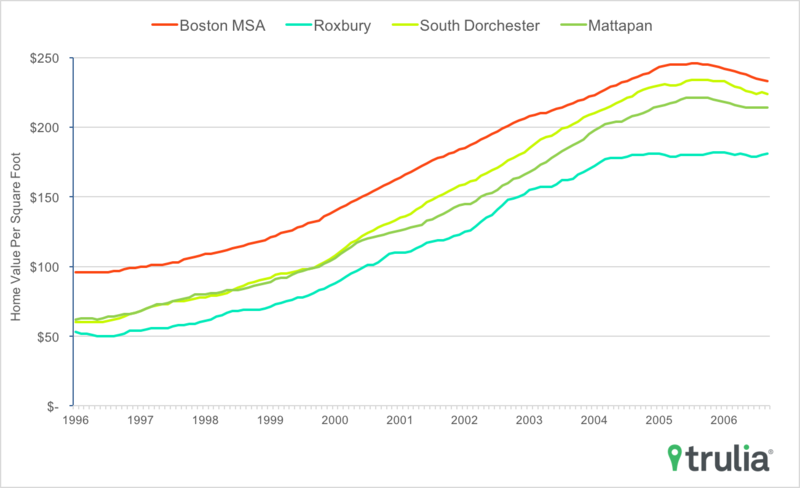 The chart below shows that in neighborhoods like Roxbury, prices were indeed depressed compared those of the greater Boston metro area. Indeed, the concentration of affordable housing development in certain areas seems to have exacerbated an unequal geography of where low-income residents have settled in the Boston area according to a recent report by the Boston Globe. Unlike Boston and Cambridge, the effect of low-income housing projects in the Denver metro area were associated with a $7.35 per square foot increase in property values for the neighborhood versus the region. One possibility: parts of downtown Denver around where low-income housing projects were built saw a renaissance in the 1990s driven by the development of LoDo (Lower Downtown Denver) and the construction of Coors Field. Some of these neighborhoods in downtown Denver are now the most sought real estate in the metro area. Indeed, as the chart below illustrates, neighborhoods such as Central Business District and Five Points, where low-income housing projects were concentrated in our study period outperformed greater Denver in terms of home values per square foot. Again, these are exceptions to the finding that low-income housing projects largely have no effect on home values. The bottom line for NIMBYs who fear that property values will take a hit when a low-income housing project locates nearby is that their anxiety is largely unfounded – at least in cities where housing is either expensive or in short supply. This post has been corrected to reflect that it is the U.S. Treasury Department that administers the LIHTC program. An earlier version of this post said HUD administered the program. LIHTC project location, unit count, and year placed into service data are accessed from the United States Department of Housing and Urban Development’s LIHTC Database. While LIHTC projects do not cover the entire universe of affordable housing, they constitute the large majority of subsidized rental housing development in the nation. The precise location data of these projects also allows us to estimate their potential spillover effects on nearby property values. Using the latitude and longitude of these projects, we constructed two distance buffers—one up to 2,000 feet from the project, and another from 2,001 to 4,000 feet. We then identified homes within these buffers and captured Trulia home value data for each of these homes from 1996 to 2006. 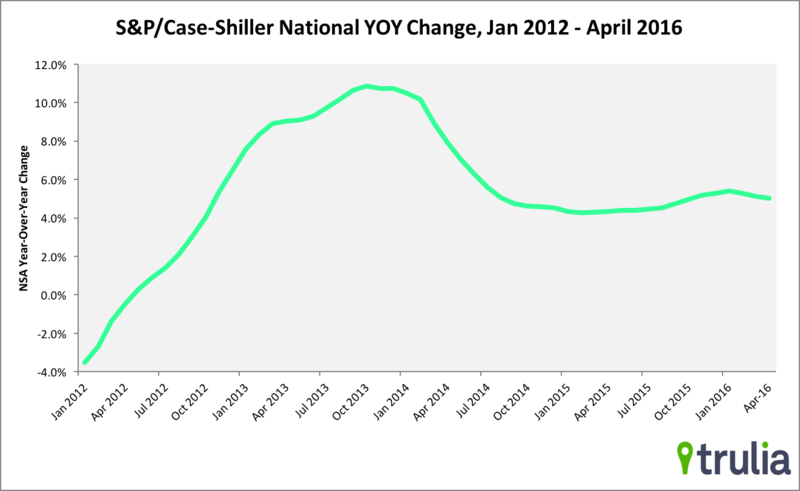 Trulia home value data is collected as an annual snapshot on June 1st of each year. In order to avoid large shifts in prices from new construction, we only include homes with property records for the entire time period under study. The analysis in this report uses home value per square foot in order to control for changes for housing quality and mix as well as potential changes in value from renovations during the study period. We use a basic differences-in-differences regression framework to estimate the difference in home values in the inner ring compared to the outer ring after the LIHTC project is placed into service. Differences-in-differences offers a way to identify the effect of a policy by examining relative changes in outcomes in treatment and control groups. In this report, the treatment group consists of those homes located in the inner ring, or nearby the LIHTC projects, and the control group are those in the outer ring. The assumption is that these homes, on average, only differ in terms of their relative proximity to the LIHTC project. Note that after plotting the median home value per square foot of the two distance rings before and after the project, we felt confident home values between distance rings prior to the time projects were placed into service shared common trends. The treatment occurs once the project is put into place, so the differences-in-differences reflects the difference between the treatment group and control group (a proxy for the counterfactual) in the post-treatment period compared to the pre-treatment period. In order to control for idiosyncratic differences in home values within years and different metro areas, we include year fixed effects (and metro fixed effects for regressions containing projects across all 20 metros). Additionally, we implement cluster-robust standard errors on individual LIHTC projects in order to correct for likely correlation of errors terms within the clusters. 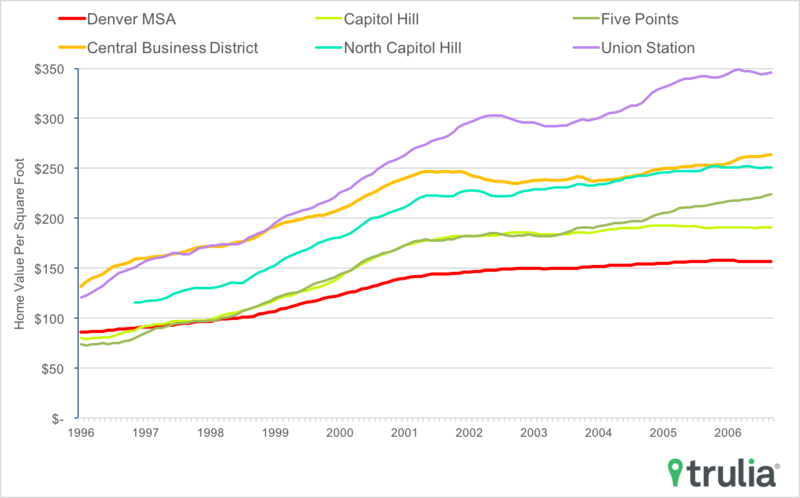 Our results yielded differences that were statistically significant in three metro areas. In Boston and Cambridge, the estimated effect of living near LIHTC projects was -$18.05 and -$19.05 per square foot. In Boston the effect was significant at the 99% confidence level and in Cambridge at the 95% confidence level. In Denver the estimated effect was $7.35 and significant at the 95% confidence level. Affordability is defined as the percent of a median household’s income in that market that would be needed to afford a mortgage payment on the median listing price of a home in that market. These median listing prices reflect Trulia listing data from Q3, 2016. Population figures in this report come from the 2000 Census. First comes love, then comes marriage, then comes…a roommate? 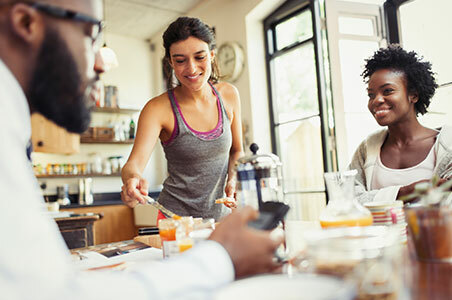 While only a small share of married couples live with non-family members, the ones that do often take on roommates either as a financial strategy to cope with housing costs or as a means of assisting others burdened by housing costs. A greater share of married couples have roommates in expensive, unaffordable markets. 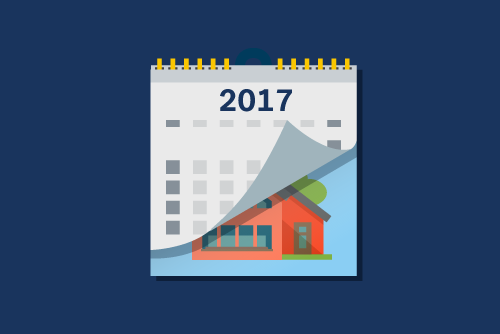 How Will a Turbulent 2017 Affect Housing in 2018? The S&P/Case-Shiller National Home Price Index suggests the U.S. housing market is stabilizing as the rate of price gains slow for the third straight month. Prices in San Francisco continue to show noticeable cooling.